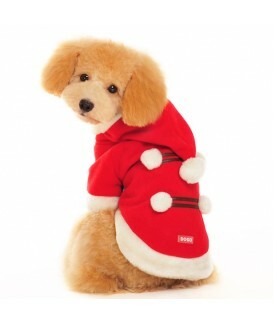 Classic style Santa Coat with more pompom to create a fun holiday spirit. This coat is adorable and also keeps your dog warm and comfy. Velcro closure with leash hole.